While flipping through your late-night television you have probably seen commercials for a show called “Shark Tank”. No, this is not a show about aquariums, it’s actually a group of business professionals who are choosing to invest their money into small businesses. It may sound too good to be true, but it is very real. These are all executives in the business world who have made a name for themselves and millions of dollars in the process. The premise of the television show is that there are five or six investors that are all sitting across from someone who is pitching their business. On the show the investors are called “The Sharks”. The one who is pitching their idea is a person or group who believes their business is the next goldmine. These businesses can range from online, to products, to a service and everything in between. The company owners will be grilled by “The Sharks” on whether their business is reputable, profitable, and worth their money. They will be asked about everything regarding the company. This is how “The Sharks” test the company owners to see what they are able to produce and possibly scale up to. “The Sharks” are looking for companies that are already making money and have the ability to be grown and make more. They would like to see a large return on their investment if possible. The owners of the companies are coming to the show with a business and a dream. The companies are usually at a point that they can show what they have been doing and how they can grow. But, sometimes there are the companies that are brand new to the market. These are the riskier businesses to invest in as they have not yet proven themselves. “The Sharks” tend to be warier of these companies than any other, as they don’t know if their money will be returned or lost. The companies that have established themselves will come to the pitch with a self-valuation and what they are asking for. The self-valuation comes from the owners looking at their assets, liquidity, and everything else and saying that they are worth X amount. This is how they base what they ask “The Sharks” for. The owners generally ask for a monetary amount and an equity value. This means that “The Sharks” will put money up and be compensated with the ownership of part of the company. The equity values tend to be from five to forty percent but never more than that. This makes sure that the original owners still are the majority shareholders of the company at the end of the show. There are six sharks that have been on the show since the first season. They are Kevin O’Leary, Barbara Corcoran, Daymond John, Robert Herjavec, Lori Greiner, and Mark Cuban. O’Leary has been given the nickname “Mr. Wonderful” and is a Canadian businessman. He co-founded O’Leary funds and SoftKey and made his money there. Barbara is an investor, speaker, consultant, syndicated columnist, and author. She has been involved in the real estate market and television since the mid 1970s. Daymond is the founder, president and CEO of the FUBU clothing brand. He is also the founder of The Shark Group. Herjavec is an immigrant who sold an IBM mainframe emulation board and has been involved heavily in the tech world. Lori Greiner is the queen of QVC and holds dozens of product patents. Mark Cuban is the outspoken owner of the Dallas Mavericks, and co-owner of 2929 Entertainment. Cuban is very eccentric and not afraid to be in the limelight with his antics. Shark Tank is a television show that gives young entrepreneurs the chance to make it big time. They are able to bring their company in front of investors who can take them to the next level. As long as they can survive the grilling and win over the investors, they will earn what they wanted. Every time you think of buying a good gaming chair, you can’t help but reconsider especially when you look at the price tag. Is a gaming chair better than an office chair? You could simple replace it with a good office chair or another comfortable option that would work just as well right? Well, your idea might sound reasonable but there is no question that a good gaming chair is a must particularly for people who game for long hours. Here’s why. One of the biggest reasons why you should definitely consider getting a good gaming chair is the health benefits that come with it. Even the cheapest gaming chairs are well designed to offer support and comfort to different parts of your body which would not be possible with other non-specialized chairs. Good gaming chairs are able to provide high backrest support, support to your lower back and neck and some even come with free lumbar and headrest cushion for an extra layer of comfort. It is also worth noting that gaming chairs are able to support good posture which is essential especially when you have to sit for long hours playing a game. When your years advance, you will be happy you made the investment. Other than taking care of your body and guaranteeing comfort while playing the game, gaming chairs also come with a wide range of functions unlike the standard office chairs. Even though the features might not be as essential to your game winning, they bring in the coolness effect to its users. Some of these features include a reclining backrest, armrest adjustment, height adjustability, and 360 degrees swivel. You must be wondering how having a gaming seat can improve your play. But, the truth is, it actually can. An ergonomic, comfortable chair that maximizes your ability to use controls without straining your neck and spine helps to greatly reduce your stress levels. There are plenty of different adjustable functions that can help you make more out of the chair and find the perfect configuration that works best for you. That is why you will always see professional gamers use these kinds of chairs. Gaming chairs also make for a great resting place when you want to take some time off the game. If you don’t want to go to bed but would like to take a quick name or cool your nerves after a frustrating round, gaming chairs are a great place to lay back and relax. Naturally, the terms ‘gaming chair’ and ‘high price’ usually go hand in hand. Every time you think of a gaming chair, the next thing on your mind is how much you will have to pay for it. However, like any other product, while there are high end gaming chairs that tend to be pricey, there are also pretty decent options available that are quite affordable. So, if the price is your main concern, it doesn’t have to be. Gaming chairs are an important accessory to have especially if you intend to prolong your hours of play. You might think that any other type of chair will do the trick but, in the long run, you will be subjecting your body to undue stress and strain that could result in soreness or bone damage. If you thought that mermaids only existed in fairy tales, Instagram and some creative make-up artists are bringing them to life. 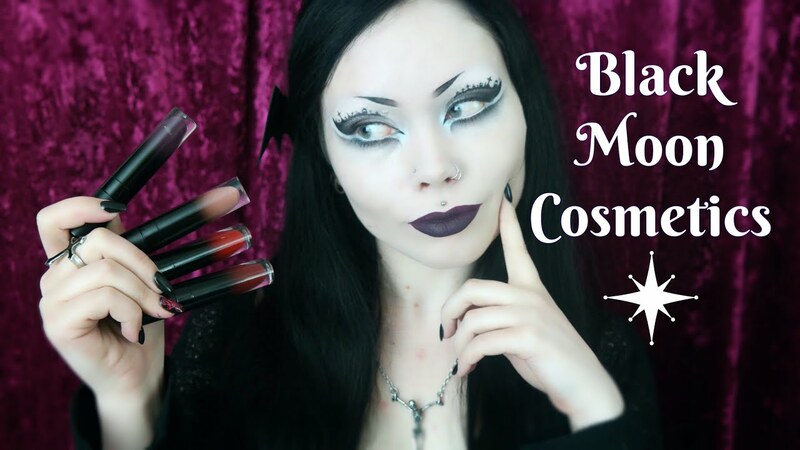 You don’t have to wait until Halloween to bring out your creative side with this make-up. The mermaid inspired looks are quite the catch for most people and they are quite dazzling too. The look comprises of bright shades of blue and a couple of seashell accessories to make tie up the look together. It might not be the greatest idea to wear to your business meeting but it will definitely get heads turning at a party. Glossy lids are not entirely new in the make-up world. They have been around for quite some time but are making quite the comeback. It is a great alternative for people who can’t stand the smoky eye any longer and would prefer a fiercer look. Luckily, to achieve this, you no longer have to use the super sticky lip gloss, some creative minds have come up with some pretty impressive alternative that nail the look without the uncomfortable sticky feeling. Still on the eyelids, there is a new trend that is quite popular on Instagram probably because of how applicable it is and, it is not as extreme as the other two. 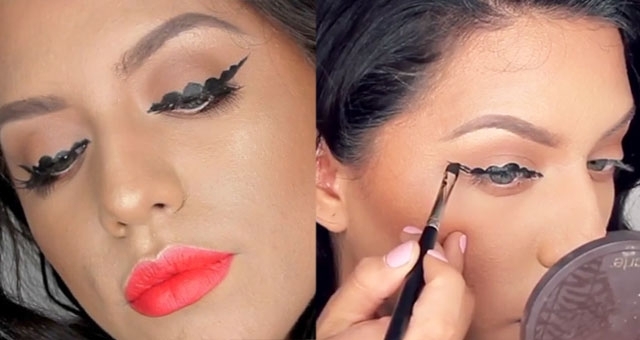 The new bubble eyeliner is a funky new trend that is perfect for people that struggle to get the perfect cat eye look. The look involves drawing of circular patterns that are extremely cool on your lash lines. The best part about this look is that it is not limiting. You can use any combination of colors to get the results you want. The ‘Gram is filled with tutorials of how to nail this look. It is perfect for women that want to have fuller looking lips using the power of make-up not to mention that it is quite trendy. It is a great look that allows you to bring out your creativity in so many different ways. There are plenty of punchy colors you can use like oranges and bright pinks and even blacks. It also provides a great break from the liquid lipstick trend. This is not an entirely new trend. In fact, it has been around for quite some time but never as intricate and realistic as it is now. 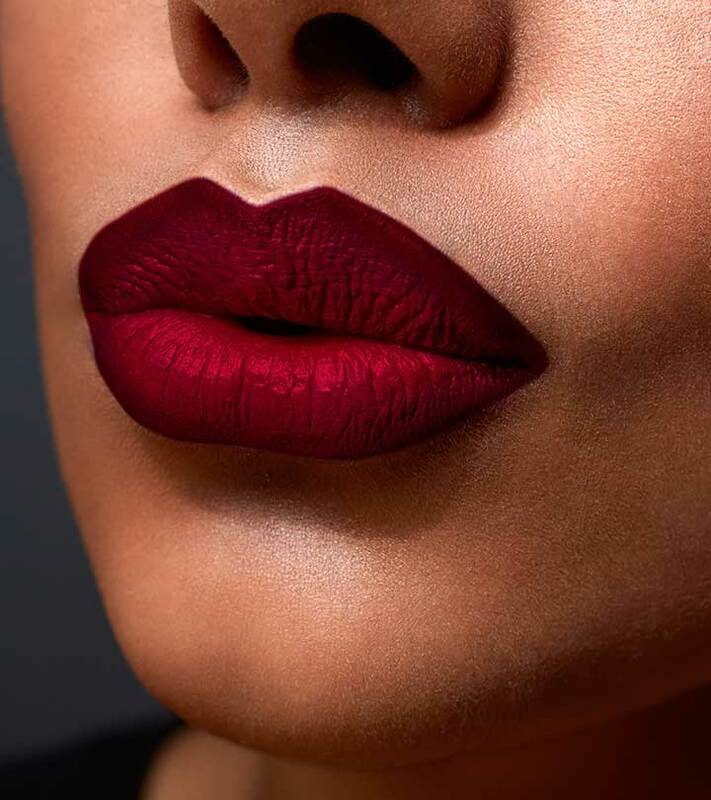 With increased creativity and better quality make-up products, this technique has really blown the top off and bloggers have been flooding newsfeeds with artistic lip masterpieces from some great make-up artists. There’s no question you will need some help getting this one right but, it is one of the most incredible looks out of the Instagram make-up world. The best thing about Instagram make-up is that it is all about breaking boundaries, setting new standards and venturing into unchartered waters. If you thought make up was to only make your face look good, Instagram has a new trend that is really cool and is mind-blowing. Neck contouring is still a relatively new trend but, there are loads of tutorials out there on how you can get the look to work for you. It is a great addition for people that are not too comfortable with their necks. The best part is, it is visible even from the back so you will be leaving an impression long after you have passed by. 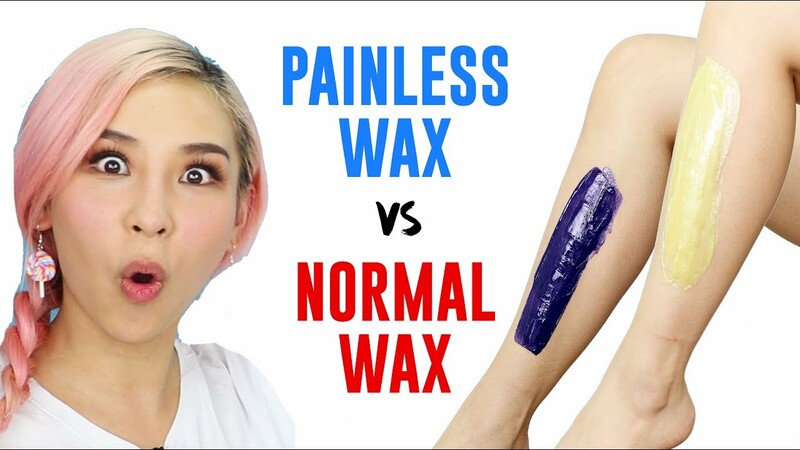 Get this – painless wax was actually a thing in 2017 and the trend is still strong in 2018! It’s basically a hot wax peel that’s apparently less painful than conventional waxing. Although its not 100% painless, if it hurts less why not right? According to the official site, Painless Wax – all you do is buy their wax beans, melt them in a wax warmer and apply using a spatula. Once the wax solidifies, peel it off. Sounds easy right? For those of who’d rather trim instead, they now carry the Finishing Touch Painless Hair Remover, which is huge on Facebook & Instagram right now. Does it work? Only one way to find out! If you’re looking to stay up to date with new fashion and make-up trends, Instagram is the public court of opinion on what is cool and what is not. If you’re looking to jump on beauty trends before they become mainstream, it’s likely to appear on Instagram before anywhere else. These trends carefully picked for you have been considered some of the trendiest on Instagram recently and they are definitely bound to get you a lot of attention as you walk down the street. Needless to mention, they also double up as great self-esteem boosters. When it comes to make-up, Instagram sets its own standards of unique and standout beauty trends that you can find only on Instagram. To be able to pull some of the make-up trends, there are make-up brands that have been purposely made with Instagram trends in mind. Instagram has changed how we find out about new trends and beauty products and has even become a driving force for the popularity of some of the products. One of the biggest sellers on Instagram is fueled by Instagram most used feature – Filters. 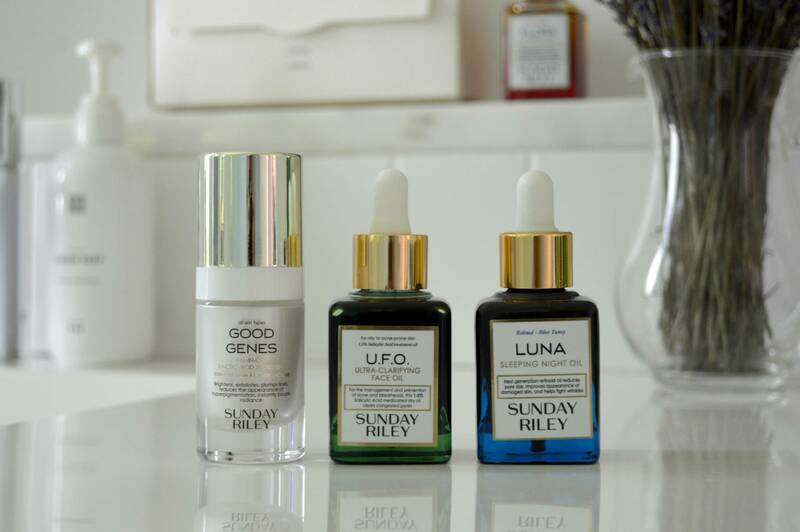 This one of a kind facial oil is everything you need to keep all your blemishes and breakouts under the wrap. The oil does more than conceal. It also helps to retain an airbrushed finish for those days when you’re feeling adventurous enough to go out and take a selfie without filters. Looking for a glowy skin? Farsali has your back. Among the greatest selling products, it is impossible to have a list of Insta-famous beauty products and not mention Farsali. It is a great addition to your make-up line that will have heads swinging and tongues wagging and you with a great glowy skin. This line of beauty products is everything you need to get your Instagram famous looks just right. The line features different products like faux lashes, super saturated liquid lipsticks for those brave and bold colors and holographic highlighters. It is everything you need to keep your following on Instagram hooked and glued to your ever changing and trending looks. The Insta-world is all about colors bold and shiny. Dose of Colors offers you nothing less. 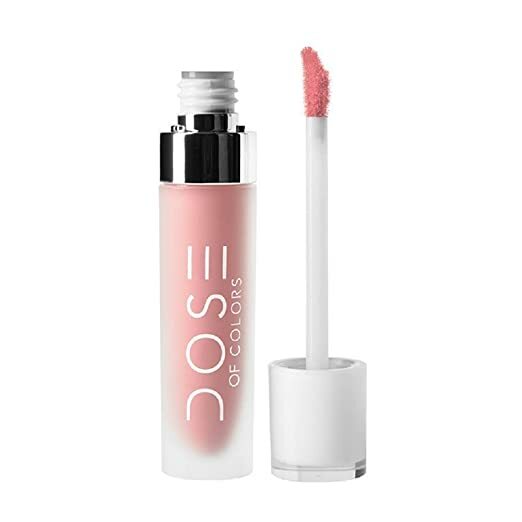 With every restock, this brand breaks the internet and sell out faster than you can say “Dose of Colors.” It is a great line for lip art lovers and people that like to be experimental with their lipstick makeup line. With Dose of Colors, you are better off hoarding different colors in your handbag for the different occasions when the different colors will come in handy. Lime Crime was built for the ‘Gram and the glam! It features velvety liquid lipstick, unicorn hair dyes, mermaid-inspired highlighters, and the full rainbow spectrum of shadows. If you thought there was a make-up trend you couldn’t pull because you couldn’t find the right products, Lime Crime will most likely solve that. Lime Crime is all about helping you get all those colors and trends nailed and keeping your trendy Insta page active. For the perfect look, you need high performance brushes and eye shadow. These are particularly great for people with a thing for the smoky eye look. It is timeless and if worked on the right way, it is definitely trendy. With Morphe which has been greatly pushed by influencers on Instagram, the product has been able to live up to the hype. What’s more is that you will not only love their pigmented shadow palettes but also the high performance brushes that come with the product. Juvia’s Place is one of those products that remind you of the all so glorious Egyptian queens and their elaborate make-up. The kit features bold and elaborate colors that you’re going to love and are applicable for most of the Instagram make-up trends with pretty impressive results. You have probably heard of Ombre lips and you have probably heard of ombre brows. The perfectly blended brows look more like the work of a master photoshoper but it’s not. It is the work of the carefully crafted Anastacia brow wiz pencil. With its effectiveness, the pencil has become a great part of most Insta uses keen on their looks and keeping up with the trend. These brands have worked themselves into the fashion and Make-up world that is Instagram. They are niche specific and have been helping Insta users get the perfect look for quite some time. If you’re looking to make an impact on Instagram, you might want to consider using them. The clean lined furniture inspired by Eero Saarinen and Charles Eames was not only a big deal back in the 40’s and 70’s. After an article in the New York Times, this design of furniture has made a resurgence to become household preferences for most homeowners. Truthfully, not many throwback brands and designs have been able to stand the test of time as well as Mid Century furniture has. It begs the question of what has been different with this furniture that has seen it enjoy favor and preference in an era where modernity and elegance have taken precedence. So what has led to Mid Century furniture becoming fashionable again? We asked Sarah at EMFURN why mid-century modern is still one of the hottest trends in decor. 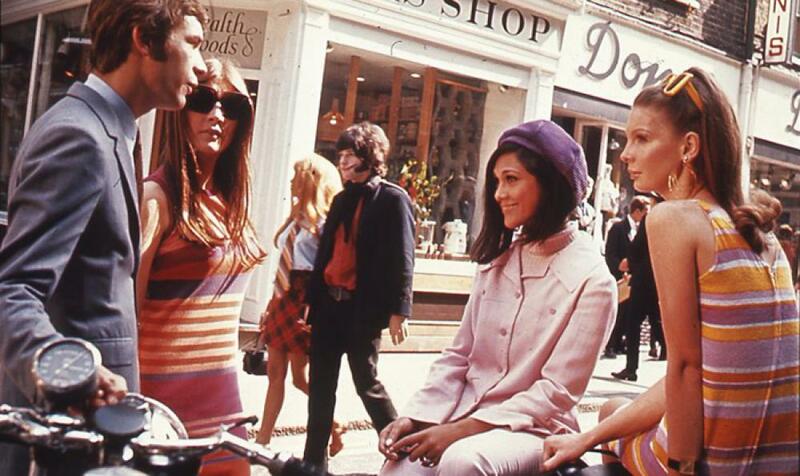 “There is no question that the post-war era saw a creative renaissance, from furniture to literature to art and film,” says Sarah. The current trends in furniture only took up where minimalism and the clean lines left of. There have been no major changes or major changes to what furniture is today. Instead of having a chair inspired by the Eames chair, why not just have the Eames chair itself? It is just if not more comfortable. Even though Mid Century furniture did great in its time, the designers and builders came up with products that were way ahead of their time. Since the 50’s, there has been hardly in headlining piece of furniture. The designs, style and finishing of the Mid-century furniture was well thought out and properly executed. Even in the current era, Mid Century furniture still looks very much in its place and takes up the attention. Unlike most things in history, pieces of Mid Century furniture are not bought as antiques but fashionable parts of the modern house and they play that role to the fullest. The resurgent nature of mid-century furniture is also fueled in part by the era in which it was invented. It was around the time after the Second World War. There was no money, materials were scarce and people needed to rebuild. Practical reasoning called for innovative use of the minimal resources that were available. In a time where people were drained emotionally and financially but high in spirits and looking for a way to get their new life going, new designs of simple and timeless furniture were presented to them. The simplicity of the design of mid-century modern furniture is its biggest factor to its rise in the 21st century. The timeless nature of the pieces continues to stand up against father time and do it so effortlessly. Unlike most furniture that depreciates in value even while sitting in the store room, the value of authentic Mid Century pieces tends to appreciate over time. The same way people would buy a piece of art is the same way they buy furniture from the 50’s not only as great piece to add to their living space but also as a way of investment. Their easy nature and less technical approach to the purchase process has seen more people opt to buy them making them a more common feature in most homes. There is no question that mid-century furniture was made from simple materials. That is why most of it is still in good shape and very functional. In hard hitting economic times it is very important to have items that are not only attractive to the eye but will keep their shine and function for a long period of time. Mid Century furniture fulfills this goal fully. Most frames were made of teak and other high quality materials which allowed the furniture to stand up to the test of time gracefully. Its durable nature has gone a long way in making the preferred range of furniture in current times. The advent of the internet has also fueled the love for mid-century furniture. Accessing the furniture in the past was difficult and unregulated pieces had flooded the market. With multiple online stores making the purchase of authentic mid-century furniture easier and more accessible, more people are now able to express their love by buying the furniture. With the lack of innovation in the modern furniture, it is only normal that people are rolling back the closest and most inspiring era of furniture explosion that they know. Mid Century furniture will continue to hold a special place in the furniture world for a long time.